Even if he was utterly ignorant about baking, Yu Yi, as the CEO of a Restaurant Chain Corporation, had an even pickier palate than a top-class Michelin Chef. And Tang Mi, nicknamed Sweetheart, was the most delicious dessert he had ever eaten. This is a novel about the growth of the male and female lead’s warm affections, trust the author. Sweet Heart sets out to do its purpose: provide teeth rotting sugar. A reader commented it's similarity towards My Lovely Kim Sam Soon and true, from what I vaugely remember, it has the same theme. Food. There's not much to say since the journey was quite smooth sailing. Not much conflict to go from and if there is, usually resolved immediately. All in all, a short but enjoyable read. Considering the handling of the split personality disorder, it's a mixed bag. I am not quite sure what the author wants to do half the time and since this is lighthearted, it wouldn't delve much deeper on Yu Yi's pysche. I think it's more a of gimmick than any real use. His Other was quite entertaining since he's compensating for Yu Yi's detachment and lack of interest towards interpersonal relations and emotions. Aka he's there to fulfill his innermost desires and as a result is more proactive. The best thing I loved about this story is the heroine. She is a. Art, emotionally mature and thinks before leaping to conclusions. She researches her idea and does not blindly jump to stupid solutions. 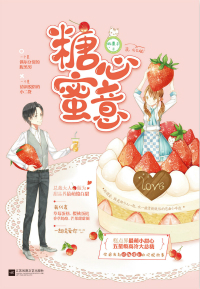 The interactions between the characters are adorable and amusing, and the plot isn't too melodramatic and intense but very lighthearted (as of Chapter 30). So this has a very light plot. Just fluff. There are some conflicts but they are on the lighter side and quickly resolved. I would regard it like uh... some sprinkles just to make the food more presentable? Something like that. I was drooling though when the MC describes the desserts she baked because it really was described beautifully. 5 stars because even though it didn't have so much spice in it, the romantic banters of the characters saved the story. This is a story about a striving patissiere and a cold CEO in the food business. This story portrays the saying, "the way to a mans heart is through his stomach". Pure fluff and sweetness, specially when the CEO started liking the female lead.